It’s easy to feel the cooler weather that has arrived and relax your gardening self a bit. Hold off, though, don’t sit down quite yet! There’s a lot to do out there before you can kick back. The time and effort you invest in your garden now will build soil health, plus keep the weed and pest count down so you can go into the next gardening season with your best foot forward. Not sure what to put on your to-do list? Stick around for my three-part garden series, The Fall Garden Grind! Let’s be real. Life is busy and summer even more so! 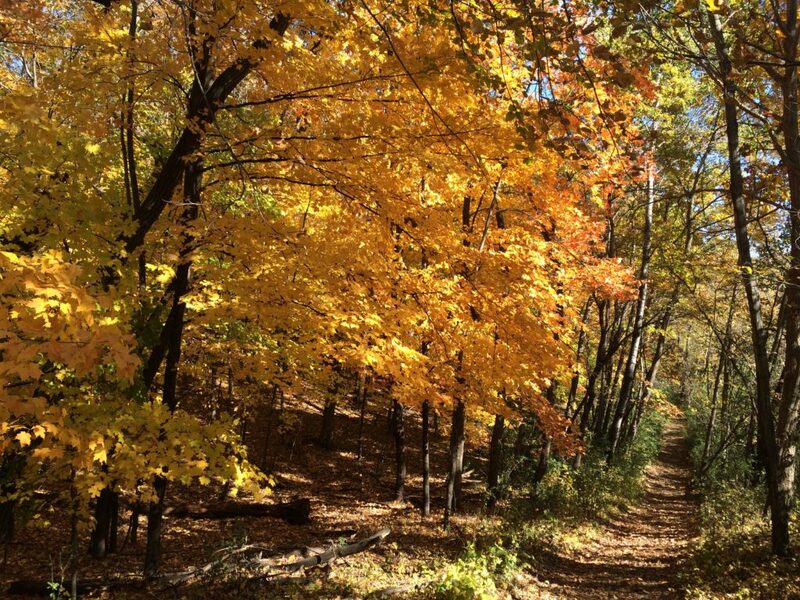 This short season in MN is the only time we can grow food, play in the lakes and of course do road construction. We are three times as productive in this season as we are in winter. We work hard, play hard plus somehow find time to travel. It’s a constant weighing game – do I take the kids to the beach this afternoon or finally pick those green beans? Should we go camping this weekend or catch up around the yard? Oh yeah, I haven’t mowed in a week (or if you’re like us, a month). And when will we finally do that bee inspection?? That is why my first installment to The Fall Garden Grind series comes with a big tagline – just finally get done what you haven’t gotten done yet! Harvest big. Scour those beds for all that veg that you haven’t gotten to yet. Bring in your last summer squashes, onions and tomatoes when they’ve ripened; pull off the last of the peppers. Some plants are visibly spent. Salvage what you can. You can of course cut it close (like I tend to) and leave the unripe produce or the curing squashes out there until that fateful night of impending frost when you rush out in the dark after kid bedtime to pull everything in, filling all your bins and buckets, and consequently your entire mudroom. It happens, every year. But pick what you can now to ease the load. If you’re growing an indeterminate variety of tomatoes, hopefully you’ve been pruning all summer. 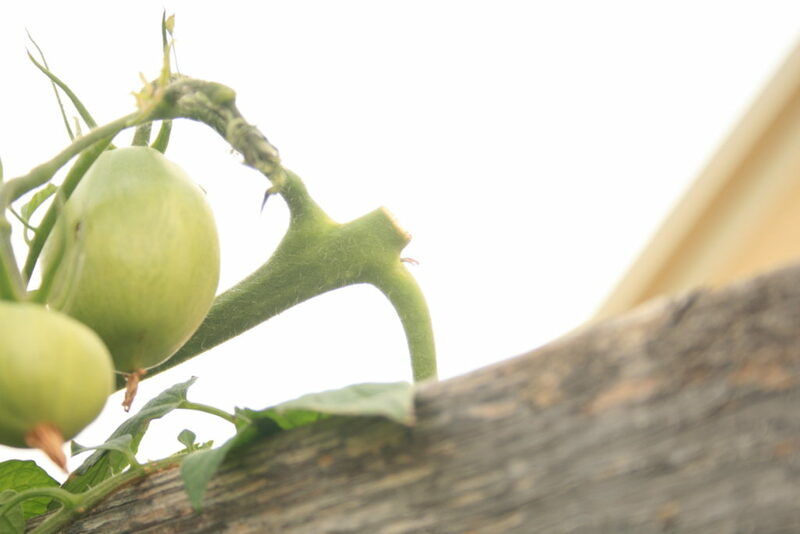 See my detailed post on tomato pruning. That will help your tomatoes to ripen more quickly. At this point in the season, you can also prune back the top end of your tomatoes by literally cutting the top end off. This indicates to the plant to stop putting energy into growing taller and bigger and to channel that energy into the growing the fruits already on the plant. The top of your tomato plants should look like this. 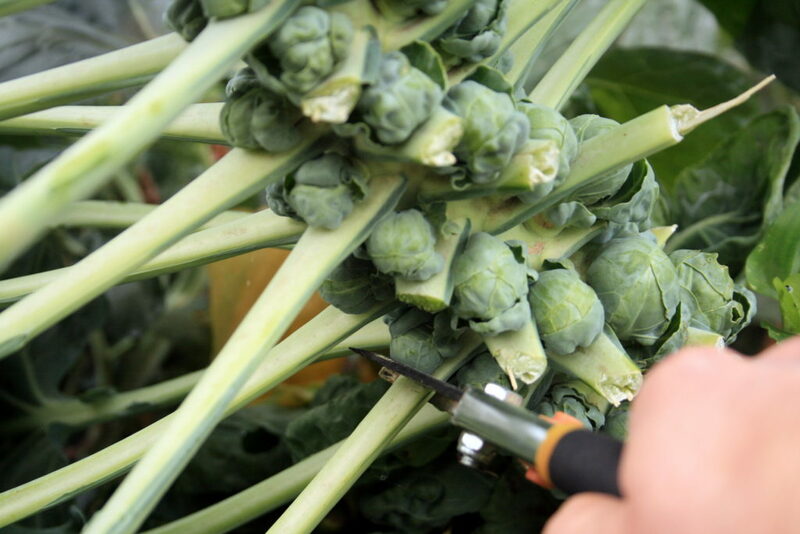 Cut back the leaves that are shading fruits on plants like your brussels sprouts and winter squashes. Sunlight is limited this time of year and they need all that they can get! 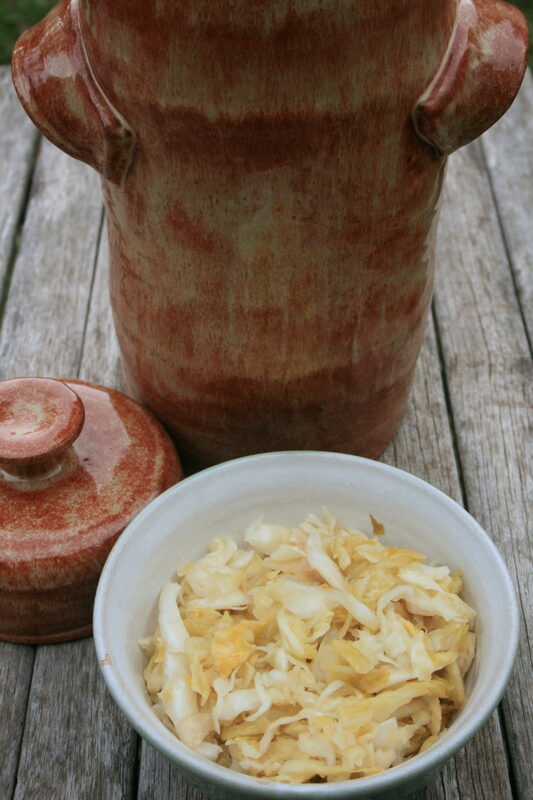 Preserve your final harvests. I suppose this goes without saying when you’ve done #1 and you’re staring at a huge load of produce. September is often busy with my final batch of salsa and delicious sauerkraut! Save seeds. If you’re interested in seed saving but have no idea how to get started, fall is a great time to dabble in it. When you’re scouring your beds, keep your eye out for bolted greens, bloated beans, pods on flowers and herbs. 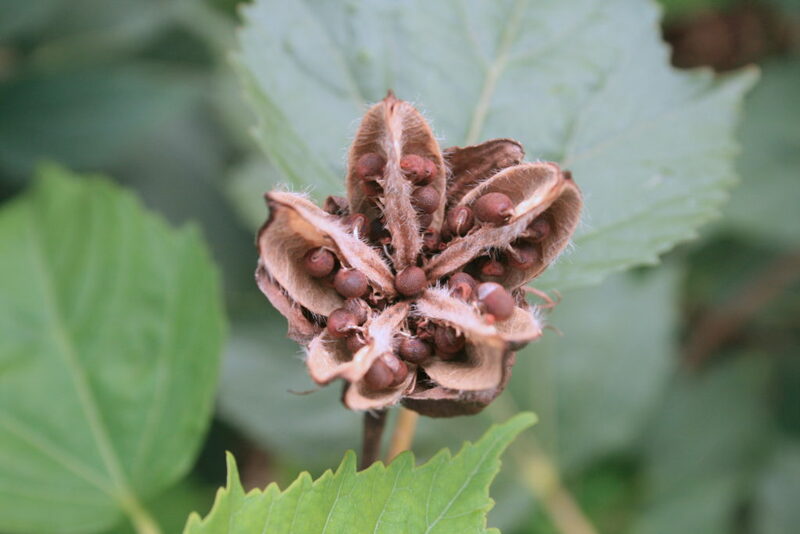 Many plants set out a seed capsule this time of year. 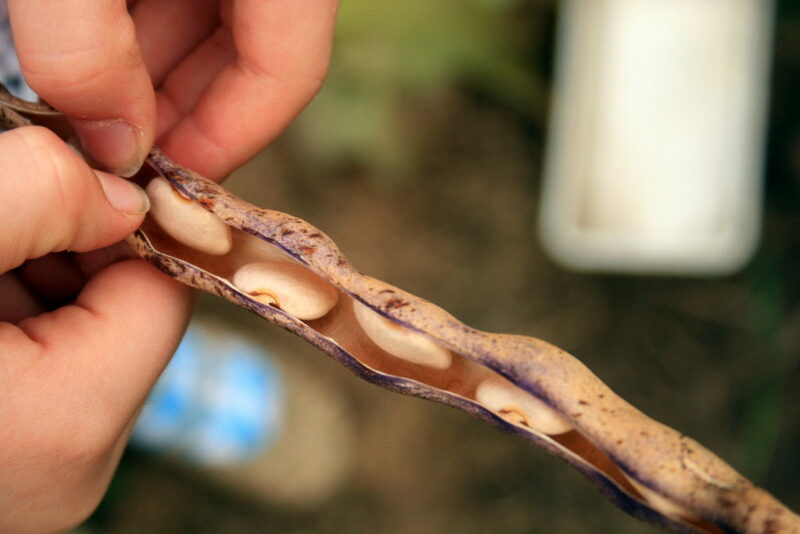 If you carefully clip the pod and release the seeds, you can store those and plant them next year! I can now spread the love of my northern-friendly hibiscus! Save your beans and plant them next year, or enjoy them in your winter chili! Type your email addy at the top of the sidebar to have part two of The Fall Garden Grind delivered right to your inbox.